Nothing to see here! Just Anakin Skywalker walking his Imperial Walker. 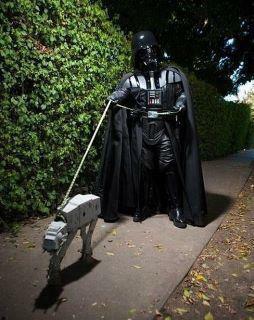 Thank god that vicious Star Wars robot is on a leash! Are you in a terrible, upsetting, or dire situation? 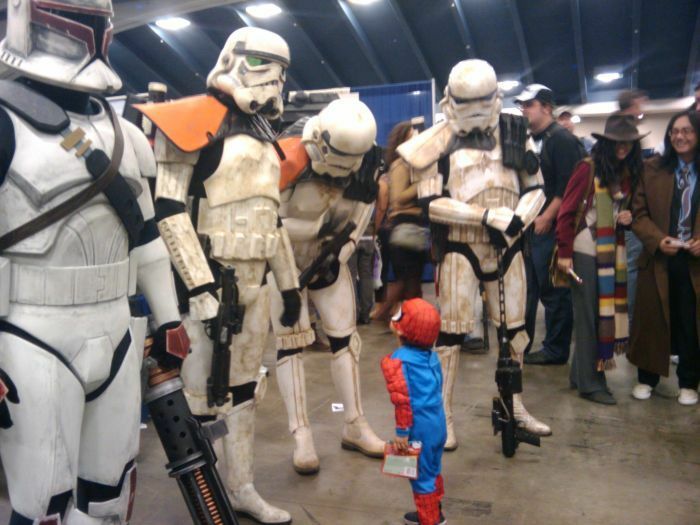 Don’t worry — Darth Vader’s got your back! During such an emergency, press the super duper, awesome nooooooooooooooo button! 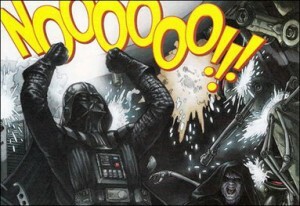 Your feelings will be expressed in the most simple and logical way – through Star Wars – as all emotions should be. Unless you’re a Star Trek fan instead. Then you can go away. Alert, alert! Incoming Star Wars alpacas! And yes, they are packing “the force” and theme song. Here’s a funny image for you guys. 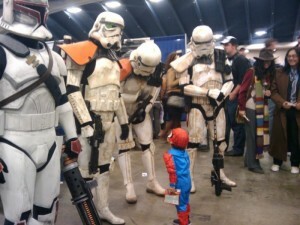 Star Wars Stormtroopers vs Spider Man!